If you've been around the hackerspace, you've seen that we could use more shelves for the miscellaneous stuff we're collecting. We did acquire a few, but stuff is still littered around the floor and would be better off up on shelving where it could be more easily seen and accessed. If you have an interest in building or bringing pre-made shelving, feel free. Additionally, we've thought it would be nice to have a stereo system. 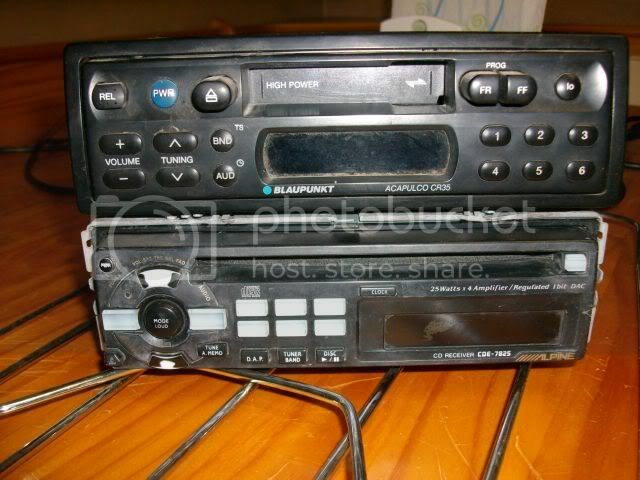 It was suggested that some old car stereo parts could quickly be put together into a nice, compact stereo solution. If you have some old parts laying around looking for a home, we'd be glad to oblige. We'll need pretty much everything that is required to play a CD. We'll probably modify an ATX PC power supply to provide the 12V needed to run such equipment.